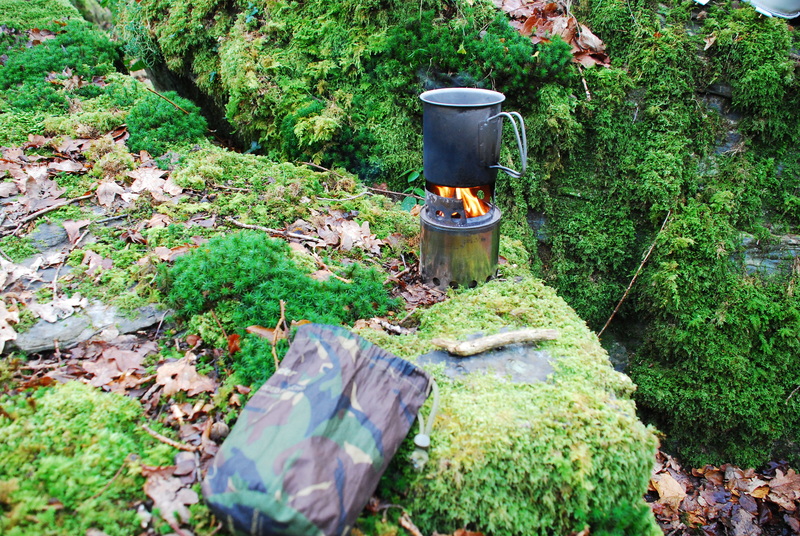 Brewing a cup of tea by the River Taw. Thank God for Bushbuddy cook stoves! No, not terribly busy, but there’s a bit going on. Compiling an anthology of short stories, preparing for a longish walk, setting out the synopses for the next two books, and then talks and other projects come into play. I’ve been very remiss on these pages recently, mostly because I’ve not found time to work on these pages as often as I’d like. However, from this year I have decided to have this as a dedicated photoblog with all those pictures that aren’t suitable anywhere else! That being so, here’s a pic of my difficult life now. Lighting a fire with firestick and steel isn’t as easy as it might seem! This entry was posted on Monday, January 23rd, 2012 at 9:02 am	and is filed under Dartmoor, Devon. You can follow any responses to this entry through the RSS 2.0 feed. Both comments and pings are currently closed.